Shipley Do-Nuts is proud to use our classic gourmet recipe that’s been around since 1936. Come enjoy snack-sized munchies, sweet treats, and free Wi-Fi in the comfortable ambience of our cafe. Just landed from a five-hour flight at 3 am? Between the exhaustion and dreading an early meeting tomorrow, you forgot to have dinner. Just as you pass by Shipley, you realize it’s open. Did your eyes trick you? Of course not – your favorite donut place on Westheimer welcomes you around the clock. That’s right! Even on Sundays. Step right in and dig into the velvety sweet treats that just melt in your mouth. “Maybe I should stay and get coffee before I start the day”, you think to yourself. Good call, because we have a Full Coffeehouse Menu! You probably start your day with a heavy dose of caffeine. Having delicious donuts for breakfast and you still feel something’s missing? Yup, your beloved latte! Or maybe fresh decaf is your thing. Well, we think of everything. Our full Coffeehouse Menu is available at our Westheimer and Downtown stores. Out with your little ones? Try our specialty drinks for kids. And while you are here, don’t forget the kolaches! We offer plenty of variety for your picky sweet tooth. You have a sweet tooth, and to satisfy your taste buds, we have a selection of classic glazed, sprinkled, cake donuts, and more. 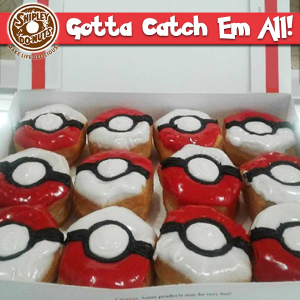 We make amazing, delicious donuts. See for yourself and explore the full list of our fluffy donuts. Hosting a party? Our corporate catering menu offers a variety of options for a wide variety of tastes. From our signature donuts, to our ever-popular kolaches and kolache poppers, these easy-to-please solutions are perfect for groups large or small. Additionally, with our fruit trays, coffee urns, and assorted beverages, there really is something for everyone to enjoy. We also make donuts that match your party theme. Our S’mores-Nuts are a hit with wedding catering. Home to the best beignets in Houston. Then one day, you chance upon beignets from Shipley Do-Nuts and it’s clear who makes the best beignets. Our authentic deep-fried nuggets of sweetened dough, beignets are soft, pillowy, fluffy, and airy. We use classic yeast dough to get the exact texture of golden brown beignets from the original Cafe Du Monde in New Orleans. We make them fresh! You are hosting a book club meeting today. It’s not your turn, but your friend cancelled at the last minute. You panic and call your husband. “Where do I get snacks for the meeting?”, you ask him. Working late and colleagues plan dinner at the office and suddenly you crave do-nuts. Wouldn’t it be great if I could get them delivered? But who delivers at work? And we don’t just deliver to offices; we deliver to homes, schools, events, and even at the park. You can relax and simply order online from Shipley Do-Nuts. We deliver to your place in no time. Try Shipley Do-Nuts, Beignets, and Kolaches Today! Experiment with different flavors and combine them as a breakfast sandwich. Drive through or order online to get your hands on our sweet and savory treats. Satisfy your midnight hunger pangs with scrumptious snacks with a simple click. You can get them delivered, catered, or you can stop by our two locations and pick up your favorites today. 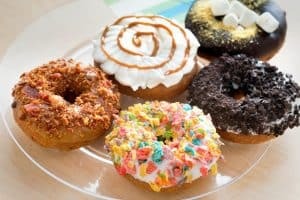 Go to www.myshipleydonuts.com to order your favorites from Shipley Do-Nuts now. piece of writing is actually a good post, keep it up. Hi friends, its fantastic piece of writing on the topic of educationand fully explained, keep it up all the time. the finest sites on the internet. I most certainly will highly recommend this web site! Usually I do not read article on blogs, but I would like to say that this write-up very forced me to check out and do so!